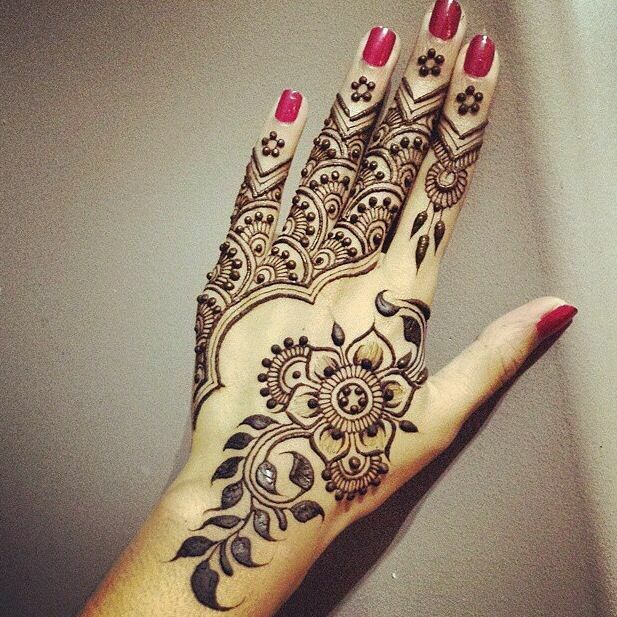 Check out 17 intricate and festive mehndi designs for hands. 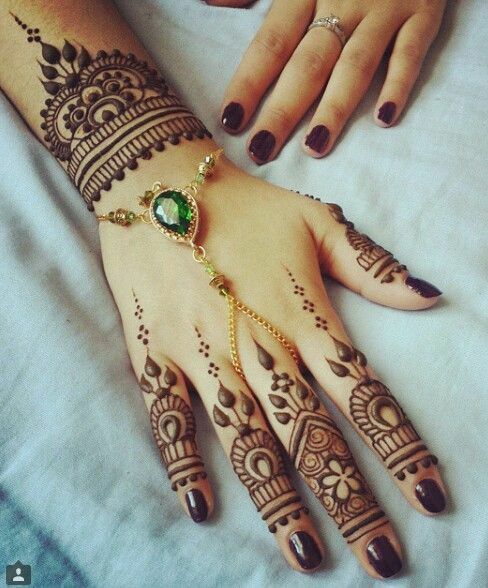 This Eid, celebrate in style with beautiful henna clad hands! With Eid just around the corner, it’s time to start prepping yourself with all the fantastic things the festival brings. Sweets, new clothes, and all the beauty accessories you need to look your best on this day. One of the biggest traditions for Eid, followed by women through generations, is adorning the hands with mehndi designs. Dark colors, intricate patterns and beautifully flowing designs are a must have for all the Eid celebrations. 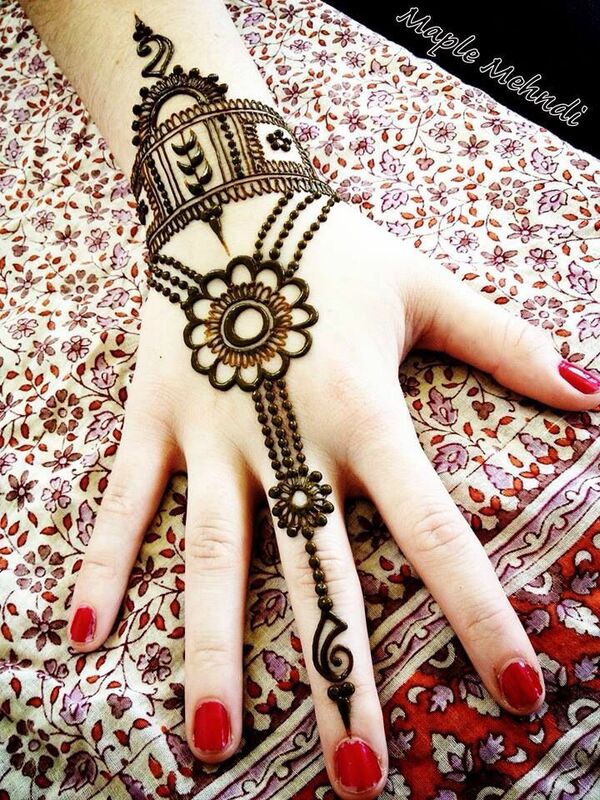 This year, one of the biggest trends in henna and mehndi art seems to be Pakistani and Arabic designs. Pakistani mehndi uses a lot of dark, blackened outlines filled with intricate patterns, colors or embellishments in the centre. Pakistani mehndi is quite detailed, delicate and intricate and usually requires the help of an experienced professional to get the best output. If you want to opt for a Pakistani mehndi style, how about gathering all your friends and having a pre-Eid mehndi celebration? It will be a fun way to get in the spirit of celebration! Arabic mehndi, on the other hand, involves one long and flowing pattern that extends across the entire palm from one end to the tip of one finger. 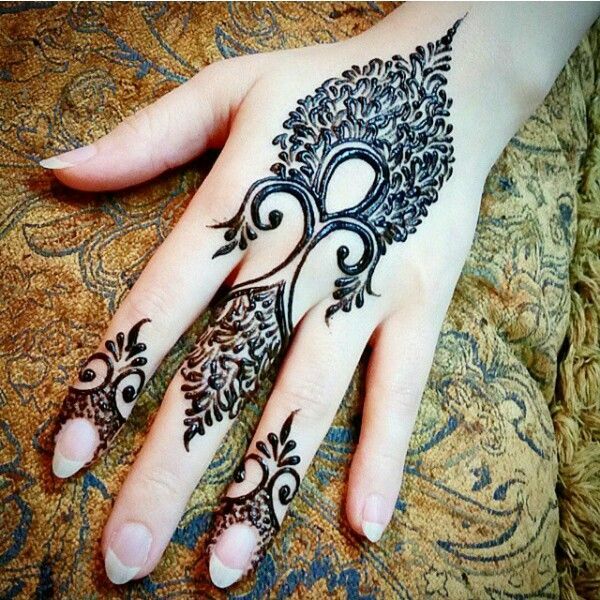 Arabic mehndi designs usually involve vines and flower patterns that are in a free-flowing format. 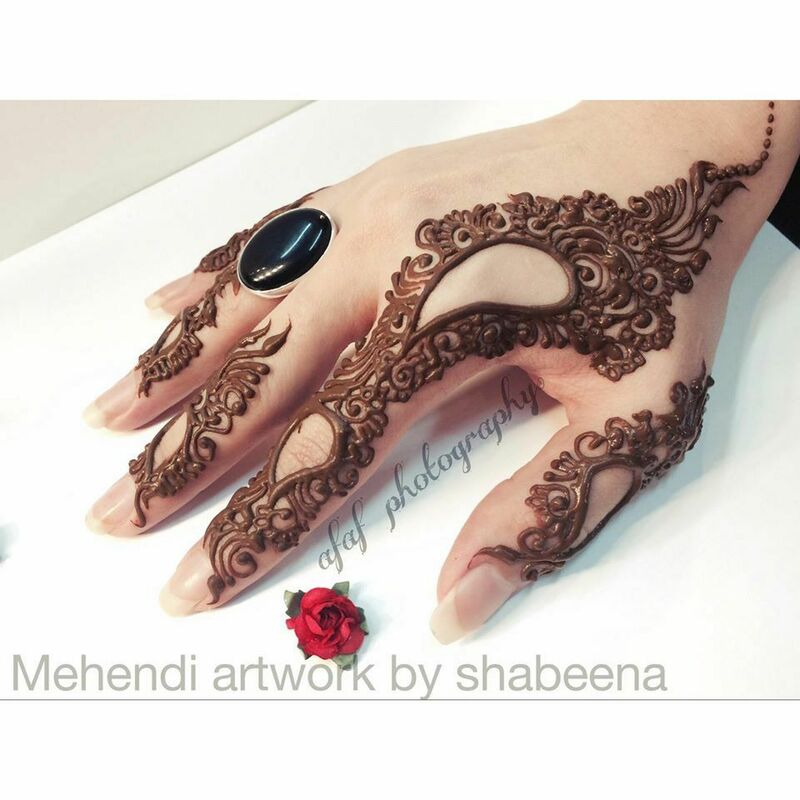 In Arabic mehndi designs, the strokes are thick and vibrant and focused on one section of the hand. This makes the entire design look clean and more prominent. Some people also use glitter in between the mehndi spaces to make the visual effect more appealing and to make the mehndi design stand out. For Eid, these two styles seem to be taking centre stage this year. With the iconic moon and star pattern, criss-cross patterns and geometric styles, there is a lot of innovation involved in the mehndi designs this year. Another popular style that can be seen is a large motif in the centre and the finger tips covered with detailed and intricate patterns. This is a very easy style, and the intricacy can be achieved even at home without the help of a professional. Many women are also opting for black mehndi, which is much darker in appearance and stands out beautifully against the skin. Black mehndi looks wonderful when used for geometric and structured shapes and patterns drawn with thin and delicate strokes which make it look stunningly eye-catching. Go ahead and start adorning your hands with whatever style pleases you and stand out from the crowd when you show off your lovely mehndi decked hands during the festivities.